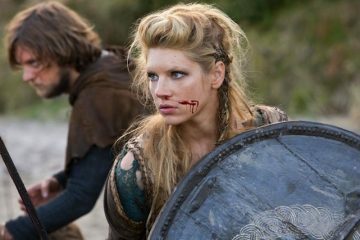 The more we learn about the Vikings, the more we realize that they weren’t exactly the hairy, dirty, meat-loving barbarians that ancient scholars made them out to be. Vikings were renowned for their goldworking, their agriculture, their poetry, and, of course, their prowess in battle. New studies reveal, however, that the Vikings had vast trade routes across the known human world and had access to foods like peaches and yogurt. More surprising still, these angry Northmen from Scandinavia also had a fondness for cats. Peaches and yogurt: maybe. Goldworking: definitely. Poetry: well, we have the records! But furry feline friends? It’s a fact that Scandinavians have known for a long time, but that historians and geneticists are just now working out. Ancient Scandinavian folklore tells stories about mountain-dwelling “fairy cats”, referred to in the tales as “norsk skogkatt”, who were excellent hunters and had extremely good climbing skills. These cats were highly prized among Viking communities, and were eventually domesticated and brought to live on farms. Vikings kept cats as indispensable pets on these farms, and the cats returned the favor by clearing out unwanted pests. The modern breed of Norwegian Forest Cat is believed to be descended from these historical pets. 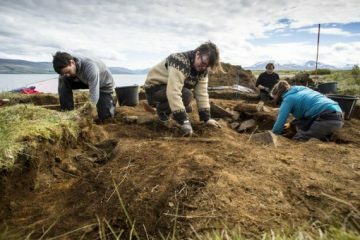 A new DNA study conducted by a group of geneticists with Oxford University and presented at the International Symposium on Biomolecular Archaeology has revealed that the Vikings even took their cats on long voyages with them to neighboring countries. The study was done by sequencing the DNA of 209 cats that lived between 15,000 and 3,700 years ago. “I didn’t even know there were Viking cats,” remarked Pontus Skoglund, a geneticist with Harvard Medical School. “Viking cats” indeed. It seems these felines went sailing just as much as their humans did, keeping the ship safe from all sorts of vermin that would eat the crew’s supply of food. 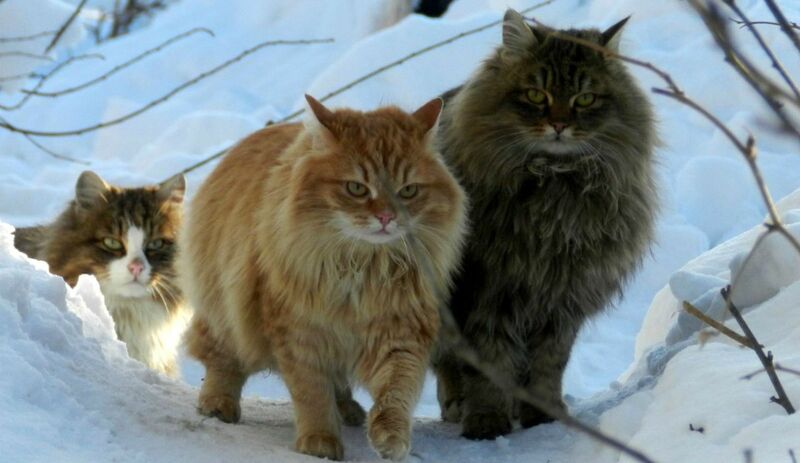 Some of these cats from Norway escaped their ships and spread into England, Scotland, and Western Europe. These feline Vikings would become the ancestors of many of the kitties that now sleep in modern beds, in modern houses, eating kibble and chasing stuffed mice. These days, most of the common cats you see wandering around Europe can trace their ancestry back to ancient Norse kitties in some way or another. If only their ancestors could see them now! Perhaps every cat is truly a “mountain-dwelling fairy-cat” at heart. Who are we to say otherwise?